That’s a wrap on the Freo Alternative – Big thinking about Small housing! The Game of (Freo) LIFE, the third event in the community engagement series, was played at MANY6160 3-Sunday 6 November 2016. Over the four days adults and children alike enjoyed designing their own piece of Freo....no design was the same! 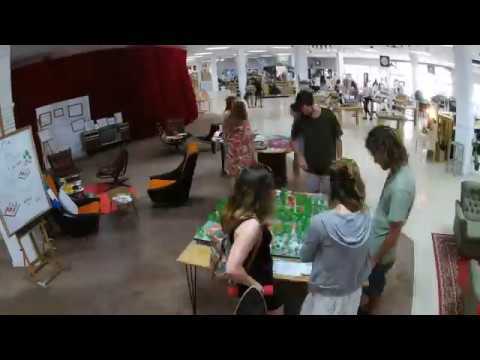 See how the Game of Freo LIFE model evolved each day int he time lapse video. The City will now collate all of the data from the engagement series. This information will be made available as it is completed. The next phases of the Freo Alternative will commence in early 2017. Thank you to everyone who came along, participated and engaged in the Freo Alternative.